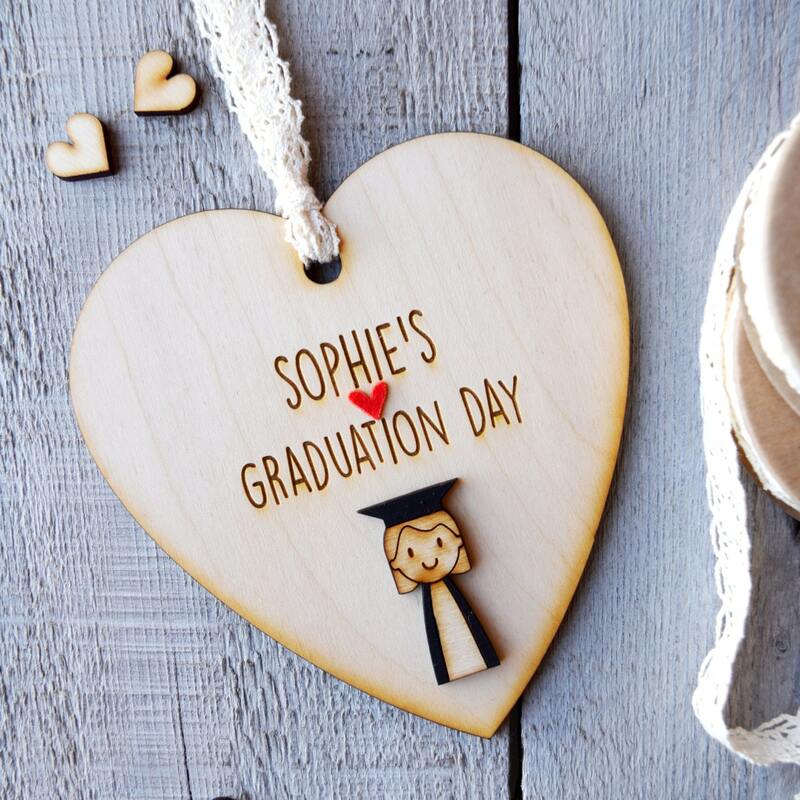 A lovely gift to give to a girl as a graduation day keepsake. 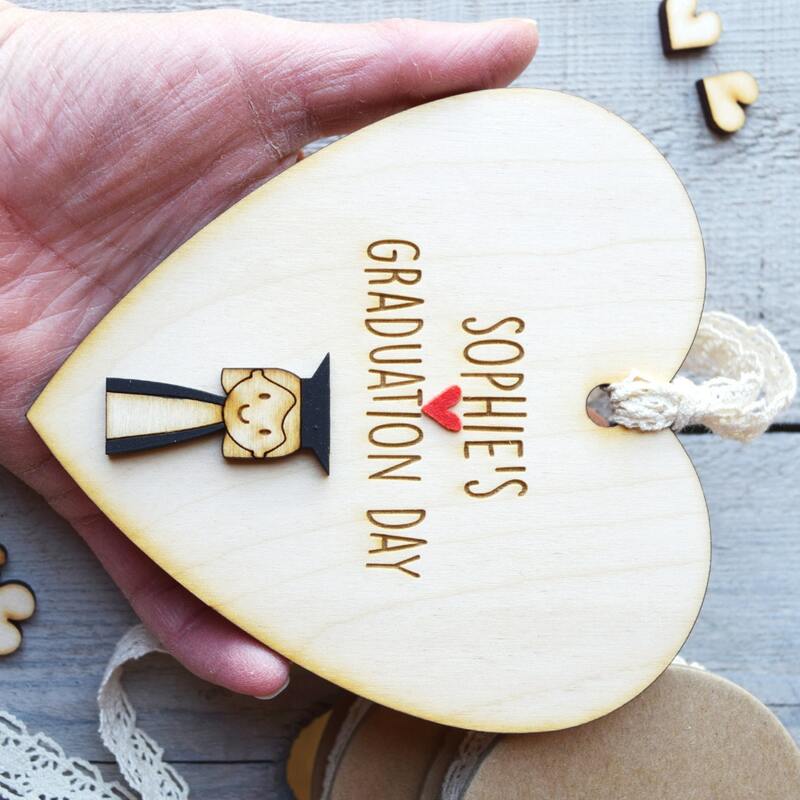 The heart features a cute little wooden girl figure dressed in her graduation gown and is finished with red felt heart accents and vintage style cream lace. If ordering this item for delivery to the USA and other countries outside of Europe please note. 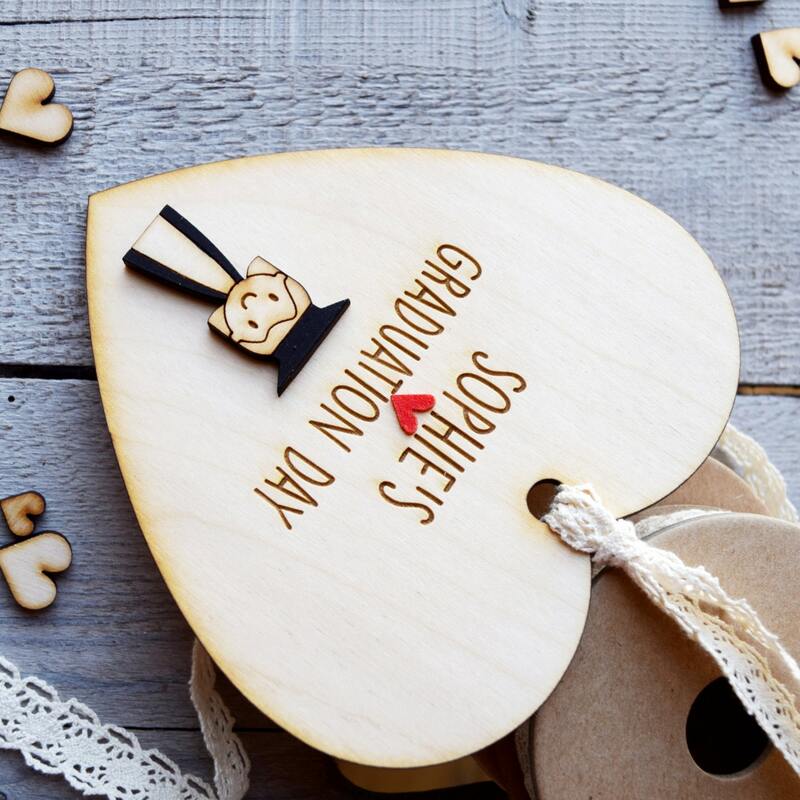 This item is made and shipped from the UK and post from here takes approx 10-14 working days to arrive via standard airmail. Super cute! Haven’t given to daughter yet! 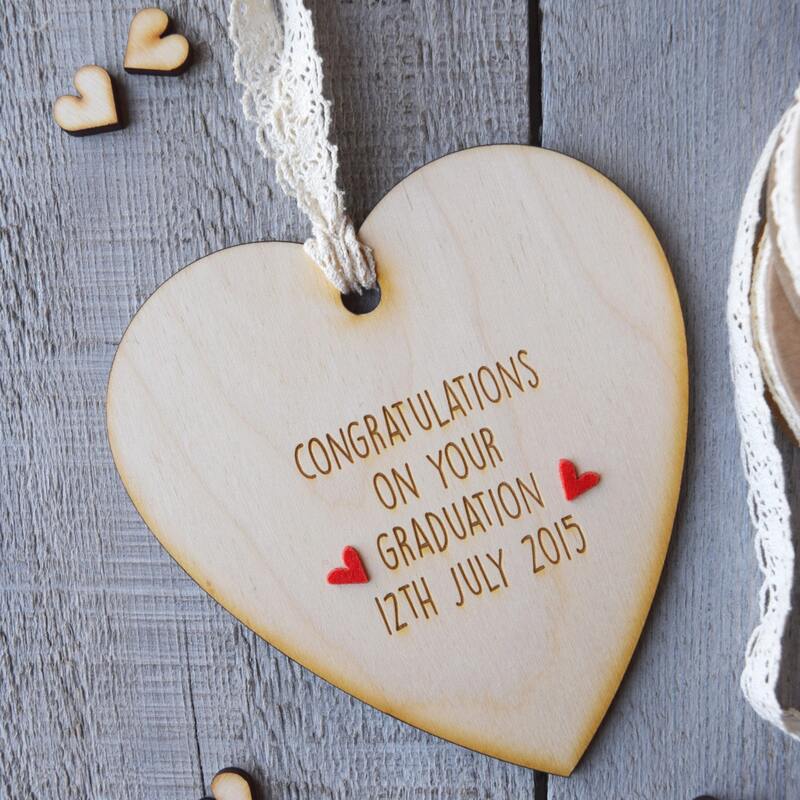 This is a wonderful gift for any age graduation. It is customized with the date. Good quality & looks great. Such a beautiful order. Thank you so so much. Packaging was beautiful too.